Ironman Arizona offers one of the faster courses in the global Ironman circuit. How fast is it? The chart says it all, for each age group. 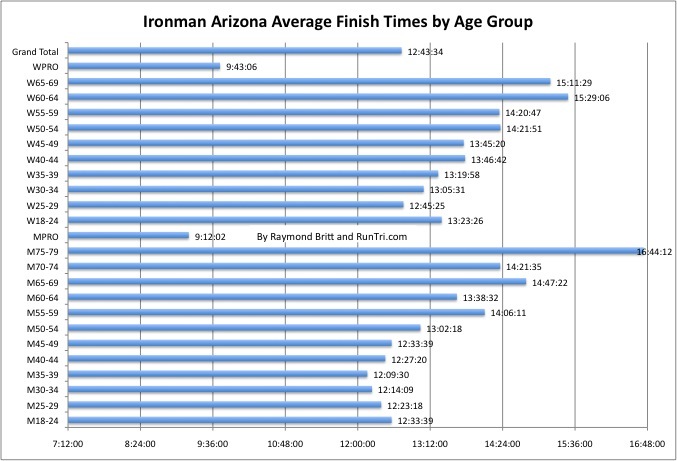 For more, see RunTri's Top 25 Toughest Ironman Races, our analysis of Ironman Arizona Swim, Bike and Run Splits for each age group and our complete Ironman Arizona Coverage.